I made this layout with scraps by dreamlanddesigns.blogspot. 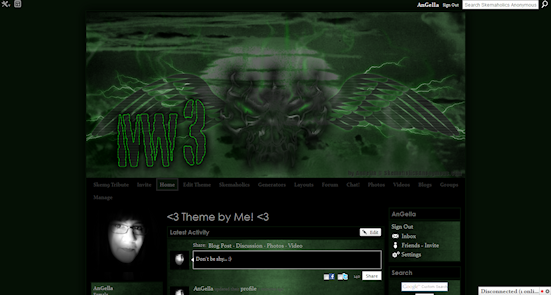 I made the banner, backgrounds,comment box and welcome box with PDN/PSP/Animation Shop. 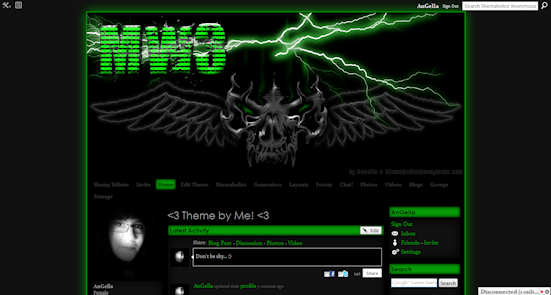 This layout was made to be used on individual profiles. No other website has my permission to host this layout or the images used in the layout. 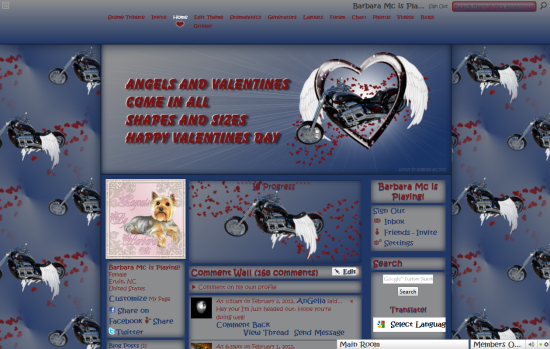 This entry was posted in Manly Ning, Ning Themes, Skem9/ Skemaholics Ning, Skinny Ning on March 2, 2012 by Barbara Mc. I made this layout with free scraps and the chopper pic was from my nephew. 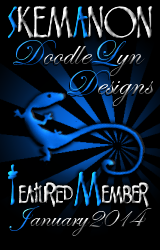 I made the layout's comment box and headers with PDN/PSP/Animation Shop. 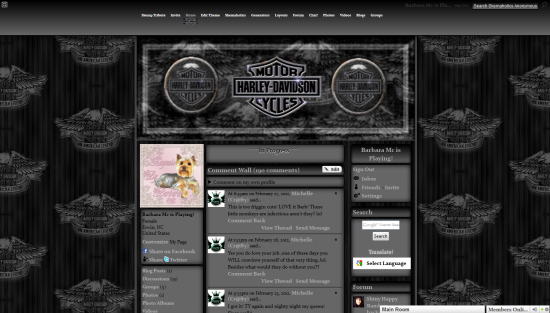 This layout was made to be used on individual profiles. No other website has my permission to host this layout or the images used in the layout. This entry was posted in Holiday Ning, Manly Ning, Miscellaneous Ning, Ning Themes, Skem9/ Skemaholics Ning, Skinny Ning, Valentine's Day Ning on February 3, 2012 by Barbara Mc. 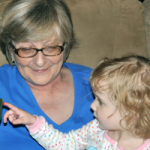 This entry was posted in Manly Ning, Military Ning, Ning Themes, Video Games Ning on January 30, 2012 by AnGella.